I can't say I'm even a little bit surprised that the summit with North Korea has fallen through. I wouldn't even bother blogging about this except that back in April I expressed some cautious optimism that maybe, just maybe, Trump's bull-in-the-china-shop tactics could be working. Nothing makes me happier than having my pessimistic prophecies be proven wrong, but alas, Donald Trump seems to be every bit as catastrophically incompetent and destructive as I feared. Let's take stock: a year and half into his presidency the number of foreign policy deals closed by this supposed master negotiator is... zero. But he has, however, apparently succeeded in strong-arming the NFL into joining him in his perversion of patriotism and evisceration of the first amendment. I would say that Trump is all hat and no cattle, except that in this case it would be an insult to hats. [UPDATE] Have I changed my mind now that the on-again off-again summit is (apparently) on again? No, I have not. Why? Because by keeping his cool, not throwing a temper tantrum, and not offering any major concessions, Kim called Trump's bluff. 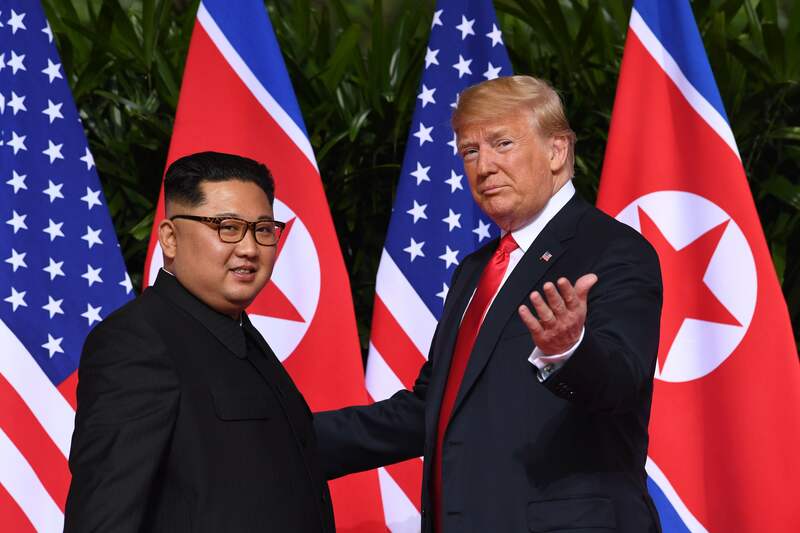 And Trump, by reinstating the summit without extracting any major concessions from Kim, folded like a cheap suit. Now Kim knows that Trump desperately wants a deal. (If Obama got a Peace Prize, Trump has to have one too!) That gives Kim the upper hand in the negotiations (to put it mildly). Trump has apparently completely lost sight of the fact that simply being in the same room with the President of the United States is a huge win for Kim. Trump, the master negotiator, is handing Kim that win with nothing at all to show for it. So no, I am not impressed. Au contraire mon capitan, he is back! I am from an eastern Europe country. My intuition is that Trump will seek to make a deal with North Korea in order to stop further development of their nuclear arsenal and to make an ally from Kim Jong-un. It needs this in order to be in a better position to deal with Iran nuclear program and aggressivity in the middle east. If Trump makes an ally from North Korea it can attack Iran with full power, even by war if necessary. Trump has a gangster like thinking, but guess what? Vladimir Putin has the same thinking. Putin will not hesitate to help Iran to become a nuclear power and I bet on this: if Iran will ever get nuclear weapons they will use them for sure and probably Israel will be their first target. It's funny that everybody blames Trump for Russia connections. I think the opposite is true. And what Germany and France do? They try to make secret business and accords with Putin. So it is correct that Trump want to Ban Mercedes-Benz and Other German Luxury Cars from US. Come to think of it, you do remind me a lot of Q. Whatever your instinct is with President Trump, write down the opposite.